Chiropractic is a primary health-care profession that specialises in the diagnosis, treatment and overall management of musculo-skeletal conditions. These are often due to problems with the joints, ligaments, tendons and nerves, especially related to the spine. Chiropractic treatment mainly involves specific spinal manipulation to free joints in the spine or other areas of the body that are not moving properly. This allows the body to move freely, enabling the body to heal itself. Apart from manipulation, chiropractors at the Duchy Chiropactic Clinic will use a variety of techniques, which may include ultrasound, interferential therapy (like TENS but a bit stronger, for pain relief and muscle relaxation) acupuncture, home rehabilitation exercises and massage, as well as advice about posture and lifestyle. Treatment is very much a partnership between you and your chiropractor.But also it will related to the Chiropractic drop tables or called Chiropractic therapy tables . 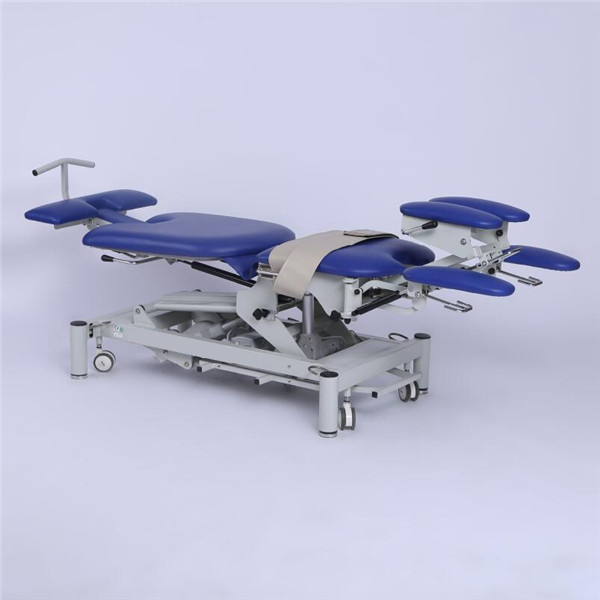 A good quality , easy operation and stable Chiropractic Drop Tables is very important in the process of treatment .Because a good Chiropractic drop tables will bring a comfortable and reliable feeling to the patients . on the other hand ,it is will enhance chiropractor‘s working efficiency and save a lots value time . High density foam , stable evaluation and noiseless motor makes patients more comfortable , relax, and well enjoy the treatment time . 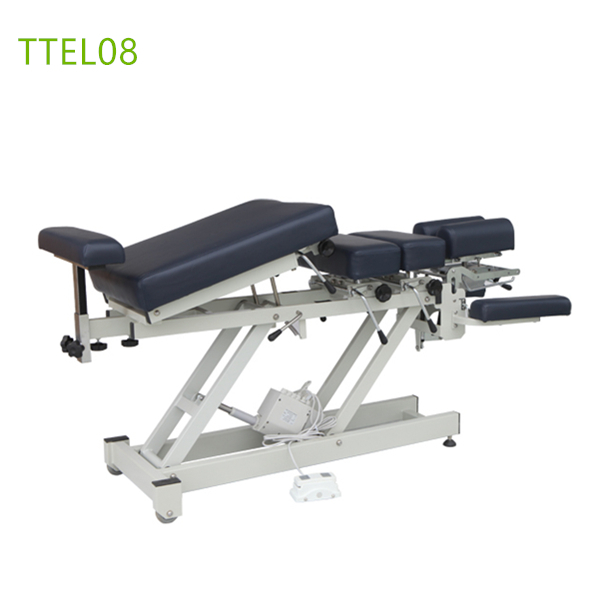 For this Rehab Medical has been manufacturing 2 models Chiropractic Drop Tables and has made some improment base on our customer feedback included patient’s .They are TTEL07 And TTEL08 .both models meets differents needs from different chiropractor .